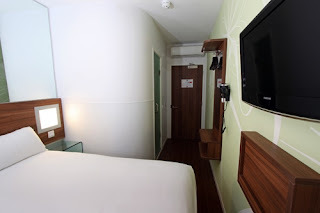 Tune Hotels offer a 5 star bed at a 1 star price and are aimed at the savvy guest who wants value for money. 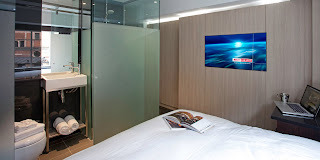 The new 183 roomed Liverpool Street Hotel maintains a low rate as it gives the guest the option to pay charges for extras like breakfast, towels, room cleaning and as well as TV. However, those guests requiring TV will not be short-changed. Airwave Europe installed the latest 26” Samsung Hotel LCD TVs with inbuilt satellite tuners have been installed which will deliver the full FreeSat TV and radio service, including channels like BBC1 HD, BBC HD, ITV HD and 4HD. The ground-breaking Z hotel Soho marks a brand new era in hotels, with a chic urbanite feel to the room and a very affordable cost. Airwave Europe installed the latest, top of the range 40 inch Samsung LED TV as well as the full Sky HD service, which includes sports and movies. iPod docking stations and internet access are also included in the rate. With rooms from £85, this is the designer label without the designer price tag.